The latest house prices data has been revealed and recent trends in Greenwich borough of sharply reducing house prices continue. Falls are actually picking up on an annual basis. Last month saw 2.6% falls on monthly prices (which are volatile) and 8.6% reductions on an annual basis. These figures are from LSL and pick up trends in new development prices. New build owners may be feeling nervous. Prices for new homes are already 10-20% higher that equivalent properties in established areas in the vicinity – in part due to Help to Buy. When it comes to sell that premium could be reduced or eliminated. 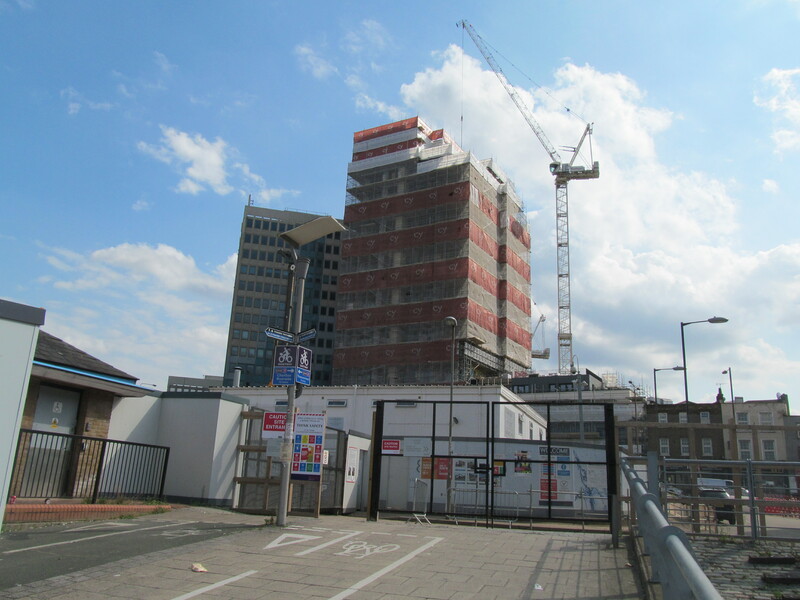 Tower Hamlets is another area with many new builds also seeing large falls. 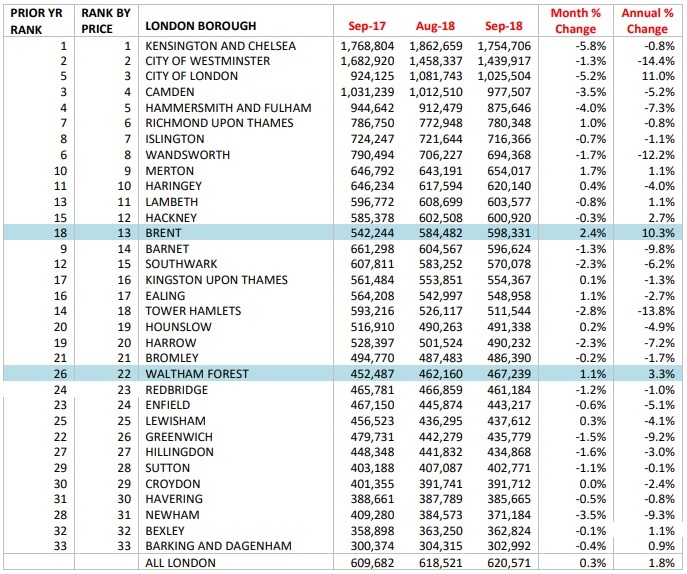 The City of London saw an 11% increase yet only nine homes were sold in the entire month. 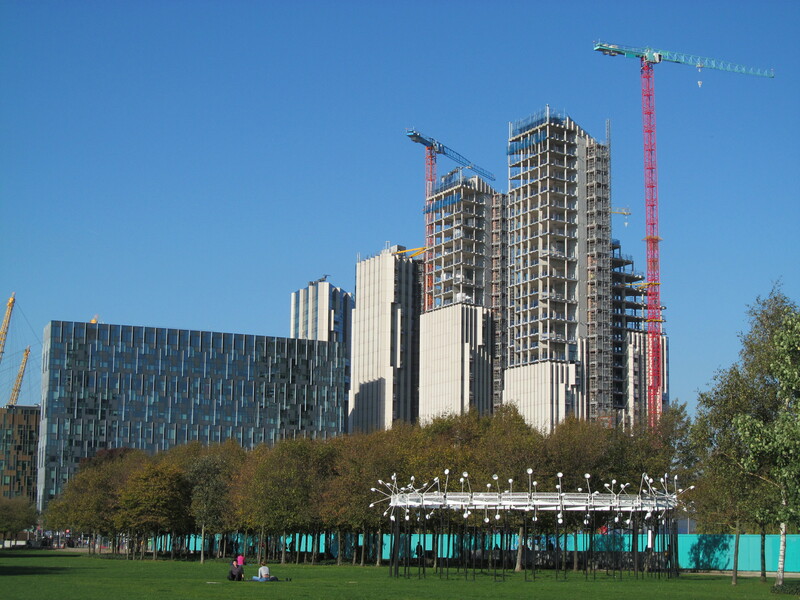 Greenwich Council also embarked on a £65 million program of buying existing homes at the top of the market instead of using those funds to build new homes – despite their own figures showing it was the least cost effective method. Building new homes using their own Meridian Homes venture would be 56% cheaper per additional property at £223,000 instead of an average cost of £394,550 buying an existing home off the market. They opted to buy homes off the market as funds were derived from Right to Buy revenue which has to be spent within five years or sent to central government, due to rules introduced in 2013. They sat on income for an extended period before deciding to buy market homes just before the expiry date. This was the worst option – for those in need and taxpayers – and could have been avoided if they had begun planning for new homes in 2013 and built up capability over five years. They cannot use Right to Buy income to entirely fund directly-built new homes (it’s capped at 30%) but can partner with other agencies such as their own creation Meridian Home Start or Housing Associations. It didn’t happen, and now millions of taxpayers money could have been wasted buying at peak prices compared to other options out there, and we have far fewer homes for those in need to boot. Great news for the young and less well off. Terrible news for politicians with property interests – which is many of them at local and national level. I wonder if that was a factor in Greenwich Council buying houses rather than building new? It increases demand with no resultant increase in supply. Those with money and assets benefit. Those without lose. Same at a national level with Help to Buy which now seems to be causing many, many problems though developers have done fabulously out of it. Persimmon chief exec with his £75 million bonus springs to mind. Back to local matters – and buying so many homes at the peak was idiotic and classic Greenwich. It was clearly peak cycle as preceding years had seen strong growth which only ever leads one way. It was immoral even without that factor in the mix given far more homes for those in need across society would be provided by building directly. But do they care about that? It doesn’t seem so looking at their actions. I agree Jo, it was it was a stupid discision for Greenwich Council to buy homes at these inflated prices. It’s great news that property prices in the borough are coming down, but there is still a way to go before they become realistically affordable for first time buyers. I looked at a property on at the weekend, 2 bed house – £350k and needed another £20k to bring it up to a standard before anyone could consider moving into it! Bad news for all those people who are know finding that their property is worth less than they paid. @HK: agreed that prices are still too high. The average one bed flat in Lewisham where I now live, is around £300,000 and I’m not talking about those in the new builds either.